Today I had to make a decision that makes me very unhappy. I found a seller on Etsy who was selling dolls made from my dollhouse doll tutorials and even copying my individual designs. After I got over the shock, I realized I had to remove the tutorials from my blog. This was a really hard decision for me since I had originally put up these lessons for folks who couldn't afford to buy dolls, they were intended to be for personal use only. I thought that people would understand and abide by that but unfortunately it seems that I was naive. I can't tell you how sad this makes me since I love sharing my art, perhaps one day I'll find a way to do it again. I am so sorry to hear that; I learned much from those tutorials and enjoyed the learning process almost as much as the creative process. Sorry also for all the folks who will miss out on your generous tutelage! Imitation is the sincerest form of flattery, I suppose! That really is sad! I seem to be hearing stories like this a lot more lately (and I've had to fend off a more copycats than usual this year too). 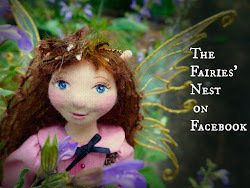 I think that sometimes sharing our work online can be a double edged sword -- on the one hand, it enables us to connect with folks with similar interests, and to reach markets we otherwise couldn't; on the other hand, sometimes all that faceless sharing and caring seems to breed a sense of entitlement. People forget that there's a line between a free pattern or tutorial (which is a generous gift) and original work/products that are not just free for the taking. Just throwing that out there. Whatever you choose, I wish you good luck and positive solutions. That is sad. I'm sorry you had to deal with that. Of course, there can always be only one you! I think every dollmaker shines in her dolls, but to the untrained eye, it may not always be obvious. I think you did the right thing. So sorry this has happened to you but it's an increasingly common occurrence, sadly. I learnt the hard way when doing some doll classes. I gave everyone pattern templates and asked them to hand them in, one class member came up to me and said that she was going to keep her template because the pattern I had drawn was a much better shape than anything she had managed to come up with. I said that I would appreciate having it back at the end of the class as it was my copyright and later she shared with the rest of the class how she intends to make money from selling her dolls on ebay. We were one pattern short at the end of the class and some months later I saw the doll from the class with several costume changes appear on ebay. That was so blatant, she knowingly stole my work even after I explained that I had copyright. Of course there was nothing I could do about it really, and I won't be teaching any classes again soon, or sharing any patterns again. Truly sad that people are so unscrupulous. Do people really think that just because a pattern or tutorial is made public that it is theirs for the taking, to do what they want with it? I make sure that I have permission from any and every designers pattern I work with. I purchase licensing agreements. I credit them as the designer. But also, I try my best to adapt the pattern and make it my own. In the end, Cyn, nobody can truly copy your dolls, they have a beauty and style that is all you. I am so sorry to hear that this terrible thing has happened to you. Have you confronted this thief? Got her to take off the item she was selling? Having ripped you off, how many other people? This is the sort of person i do Not want to buy from. I value creativity and admire other peoples too. That is just so sad. I really enjoy your work and was trying to make one of your dolls but had gone on a two week vacation visiting my first grandchild. I went to pull up the info again and it was gone. People don't seem to realize or care that it really hurts those who do the right thing. In the end we are the punished ones. Hope all goes well for you though! Shame on those hoping to make profit off other's hard work! 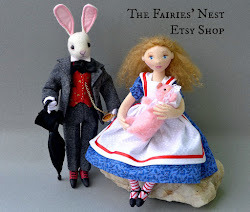 I just found your blog and your wonderful dolls - and it makes me so angry that someone has taken advantage of your kindness!I absolutely think you should do something about this - I am convinced Etsy would remove this copycat from their site if they knew she had violated your rights. This is not okey!! Let them know what is going on. This person could go on and make big business out of your designs! I would also contact the person herself and explain that she is using copyrighted material and that you will take legal action if it does not stop immediately. And go ahead and do just that! Don´t let people get away with stealing your work. Be tough. 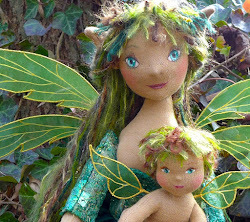 I wish you all luck in this matter - and again, I really love your dolls, they are magic!! This is sad, sad news indeed. Of course I will miss your tutorials but I completely understand your decision to remove them. What really breaks my heart is that your kindness and generosity and your amazing talent have been trampled on and abused in this way. I am so sorry. I hope one of these days we will have some big giant teeth in the copyright laws that pertain to Intellectual Property and artistic creations such as yours. I'm sad to hear this. It happens all the time unfortunately. Since this person is selling on etsy tell etsy that this person has stolen your work and ask that they be removed. Best of luck! Such a pity people take advantage in this way instead of appreciating the gift that a tutorial is.